I admire women who take their talents and create wonderful businesses. Diane Bailey is one of those women. She is quite talented and has an entrepreneur’s heart. She and her family have built a wonderful business from the ground up. Her story will encourage you and maybe inspire you to begin your dream business. Thank you Diane for sharing with us. 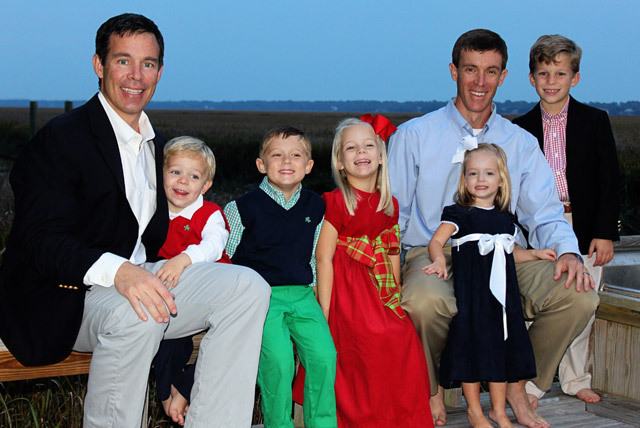 I started The Bailey Boys, Inc. in 1987 after my youngest son, Brent, started kindergarten. After lunching and shopping with friends for awhile, I decided I needed to do something more productive and creative with my time. So my husband, unbeknownst to me, bought several industrial sewing machines and the equipment to go with it to start a small business. I’ve sewn all my life—my mother said I was trying to thread a needle at the age of 3—so I guess he figured that was the direction I needed to go. I traveled to Atlanta to find a sales representative, and it was an eye-opening experience. The market was so big and impressive, and it seemed so out of my league. But, nevertheless, I found a rep and The Bailey Boys was born. Nancy, my rep, encouraged me to make boy clothes since she felt that there was a definite need in the marketplace. Of course, that was what I felt I did best so I went to work on designs. The first season I developed the first reversible john-john. I’d been making them for years—since Chad, my oldest son, was 1 year old—and he was now 9. I had a great response and was overwhelmed at the orders. Since it was only my mother, one other lady, and I doing the cutting, sewing, pattern grading, etc., we had full-time jobs. I didn’t realize then that I had a thriving business on the horizon. From its inception until now, the business has progressively taken baby steps and grown a little each year. My husband, Jim, was the mastermind behind the whole business, and both our boys, Chad and Brent, work with us. Jim went to Baxley, Georgia, in the fall of 1996 to buy some sewing machines from a blue jean plant that was downsizing. He came home and said we needed to buy the factory, as it was already set up and running. At the time we were having a hard time getting people to sew for us; many of the sewing factories had gone overseas, and there just weren’t many sewing machine operators around our area. So, after taking a trip to Baxley to see the closing factory, which was built in the 1950s, I was awestruck by a handmade heart pine cutting table that was actually built inside the factory. I turned to Jim and said, “Oh my!” Needless to say, we purchased the building, and The Bailey Boys moved its sewing operation to Baxley, Georgia, in early 1997. We not only had a family business on Saint Simons in Georgia, we now had a rather large family business in Baxley, which totaled around 80 people in Baxley and 10 on Saint Simons. Today, in 2014, we still have many of the original people that worked for us in 1997. I still marvel at how the fabric comes in on the loading dock at the back door, moves around the factory in a clockwise direction, and goes out the back door the same way it came in but as finished garments! When I started the business, I was designing, selecting fabrics, and overseeing the actual construction of the garments, and I am still doing the same things. Fortunately, I have more help now with good folks working for us in Baxley and on Saint Simons. We have a company store on Saint Simons where we carry all of the styles and designs that we make. Around 500 specialty stores throughout the country, mostly in the South and Southeast, currently carry The Bailey Boys. It has a very Southern, classic, and traditional feel to it. There are five lines that The Bailey Boys makes. 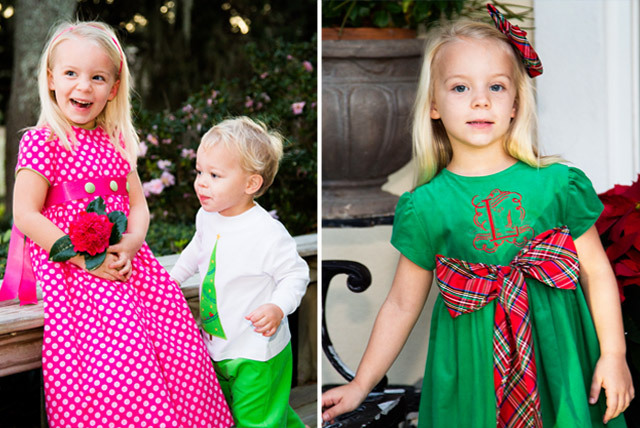 The first is The Bailey Boys, which are classic brother/sister appliquéd designs. Then we have Bailey Boy Classics, which is still traditional but dressier. Bailey Boy Basics are exactly what the name says: basics such as turtlenecks, pants, john-johns, jumpers, and bubbles that coordinate with the other lines. Bailey Babies are sacs, smocking, and bubbles sold under The Bailey Boy label. Our newest line is J. Bailey; it is a traditional, preppy, and classic line with button-down shirts (the Roscoe shirt), golf shirts (the Henry shirt), pants (the Champ pant) and shorts (the Pete shorts). There are also bow ties, ties, jackets, and sweater vests. The garments all have family names given to them. I don’t think I ever stop looking at everything around me and at all types of clothing, colors, and designs. I can see something in the grocery store, whether it’s a picture on a can or maybe some child in line at the store, and I start thinking about how I could create a design out of it. I scout out things wherever I am or wherever I go. Design ideas are everywhere. I even have a notepad on my nightstand because ideas come at all times of the day and night. After I have an idea for something I want to make, I take my idea to our pattern maker, she creates it, we critique it, and it usually becomes a garment we will use in the line. It’s a process that can take anywhere from a day to several months. Twice a year (spring and fall) we create the five lines, and there are 30 groups just in The Bailey Boys. It is quite an undertaking! I only hope and pray that my granddaughters, Liza and Kendall, will be able to do my job one day. They’re both typical little girls with their own strong opinions, so I think I can rest easy along those lines! We all feel very lucky and especially blessed to be able to work together, that we’ve made this family business successful, and that we can make other families happy by dressing their precious children in our clothes! Diane has graciously offered to give away the outfit at the left to one lucky Ribbon in My Journal winner! To enter, share this post via one of the social media buttons below, and then leave a comment telling me why you’d like to win. Write about it on Facebook, pin it to your favorite board on Pinterest or even send a tweet. Not a social media person? Just leave a comment instead. Best of luck! with six granddaughters and a great-grand, cannot keep up with sewing requests!!!!!!! wow, that is impressive, awesome. We had an embroidery machine business for two years and then we have just moved. Not sure if we will do it again. We both have been retired for over 10 years. It was fun and fulfilling. Thank you for this Made in America story. That wasn’t emphasized, but that is what it is. So wonderful that Dianne’s husband realized her natural inclinations and helped her carry it all out. What a family business. Applaud them, and you for giving us inspiration and the knowledge that we need to follow our dreams. This story is truly inspiring…i’ve been thinking of starting a business of what i love, coaching kids, and this just truly blessed my heart, especially that its a family business. What a great way to set standards for generations to come! 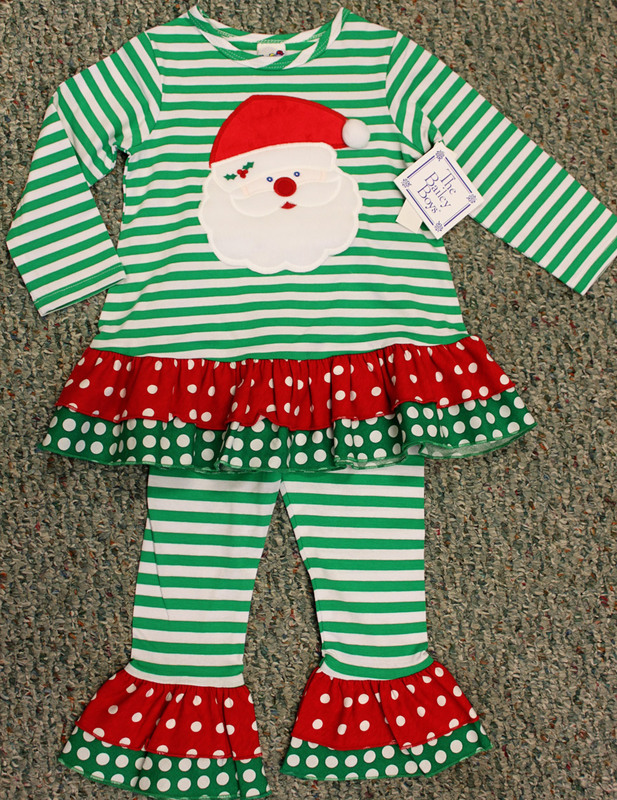 The outfits are lovely and this particular one would look great on my 2 year old daughter! That’s fabulous that you are considering starting a business. Such precious clothes! I can just see my little granddaughter in that outfit! Bailey Boys have such cute clothes. My granddaughter would be so cute in this beautiful outfit! I have loved Bailey Boys since I first became familiar with them when I worked for their sales rep, Nancy, years ago. My girls wore their clothes when they were little, and I look forward to one day having a grandchild to dress in Bailey Boys clothes! This would be so pretty on my precious little granddaughter! The Christmas outfit is darling! The Bailey clothes always look so very cute in the ads I have seen. What I like about them is that they look like children’s clothes not smaller adult clothing. If I win I think that my grand daughter will look wonderful in it. I do love it when children dress like children!! The clothing is lovely and so special that it is a ‘family business’. I agree there was a need for clothes for the young genteman again. It seems people tend to dress more than ‘casual’ I call it more like ‘sloppy’. In my time no one would have left their house looking like they’d slept in their clothes or cut them on a picket fence. May God reward the love she has put into her family business. Very cute outfit for some lucky mom or grandmother for their ‘special girl’. I have admired The Bailey Boys clothing for a very long time. The creativity, attention to detail and now the story behind these beautiful garments make them even more special! So cute! I love the outfit! So would my great-niece. I have looked wistfully at these ads for a long time. Lacking grandchildren (which are very unlikely) if I win, I would give the outfit to a child who would love it but might not be able to have it otherwise. 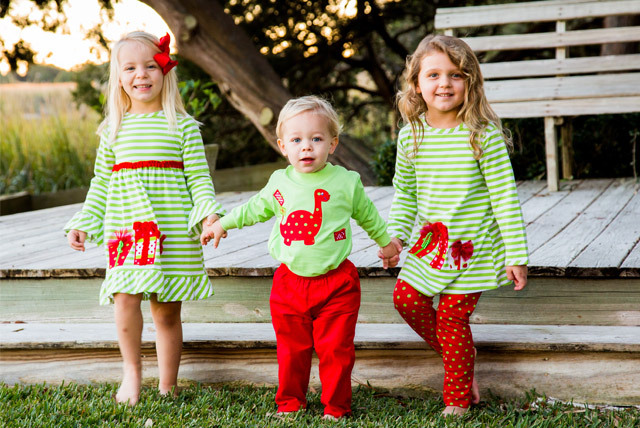 I just love the beautiful Bailey Boys clothing line–such darling appliques! 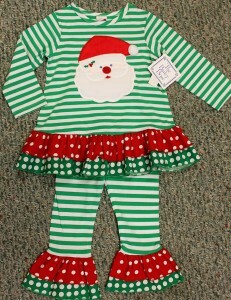 My one year old granddaughter would look precious in the Santa outfit. Thank you for your interesting article and offer! Happy Thanksgiving! The outfit would make a wonderful 1st birthday gift for my grandniece, Hailey Noelle, born last year on the first day of Winter. Always grateful to hear your stories of successful entrepreneurs. Happy Thanksgiving to all! I have long admired The Bailey Boys clothing line. Each outfit is so colorful, clever and fun! Precious clothes for precious children. Thanks! It is so nice to see clothing made in America! I love the classic looks, too. My granddaughter would look adorable in one of these darling outfits. I love to read stories of families doing things together, so heartwarming! Our beautiful new and first grandchild would look absolutely adorable in this fantastic outfit. This is truly a story about courage to follow your dream and then that dream coming true…the clothes are adorable…are the clothes available in Canada? This is an awesome story, and so encouraging. Both my daughter and daughter-in-law are expecting BOYS in the spring. They both are beginner seamstresses, so this will encourage them to be more creative. I have a new precious little niece that would wear this outfit proudly! I cannot wait to find the Bailey Boys line in our local stores…. I have not purchased little boy clothing items in 25 years. I am so impressed with your creativity and tenacity! The American dream lives on with Bailey Boys! I would love to have the outfit. Congratulations Diane. You and your staff represent all that is so wonderful about this country. Making your dreams come true! And, how cute are those outfits!! What an inspiring story. This is a family that followed their dream & have had great success. What an honor to make such beautiful clothes. Blessings to this family & their wonderful business.